In a world where all conflicts are solved by games, humanity stands on the brink of extinction, unable to win against the other sentient races such as elves who have amazing magic powers. However, this all changes when two siblings arrive from another world with a unique ability of their own. Sora and Shiro are gamers. Together under the username ‘ ’, or Blank, they have beaten anyone and everyone at every video game imaginable. After being challenged by a god and beating him in a game of chess, they are transported to another world, one where all conflicts are solved by games. Using superior intellect and cunning, they set out to find their place in what is clearly the perfect world for them. There’s something to be said for a classic yet unique concept, and this is one thing that No Game No Life has in spades. While the setting is a classic fantasy world with many familiar aspects such as medieval technology and magical races of creatures such as elves, the world of Disboard is very unique in its actual structure and works more like a chess board. The world-building is most definitely a strong point of the book, and is utilized greatly throughout the story. The key element that takes advantage of this setting is the games themselves, which can be almost anything, ranging from rock-paper-scissors to intense magical variations on chess. The most interesting part, however, would be the way in which the games are played: there is no conventional outcome, ever. Since everyone is bound by the bets staked in each game, there is both a high amount of tension and a large amount of clever mental maneuvering that is fascinating to witness unfolding. These strategic plays would only be so interesting without intriguing characters behind them, and Yuu Kamiya most certainly knew what he was doing in his character creation. Sora and Shiro are polar opposites in that one is clever at manipulating opponents while the other is cold and calculating, and this is a pairing that is exercised both during competition and in-between. The siblings frequently get into amusing arguments both with each other and others, and are characterized heavily and enjoyably. 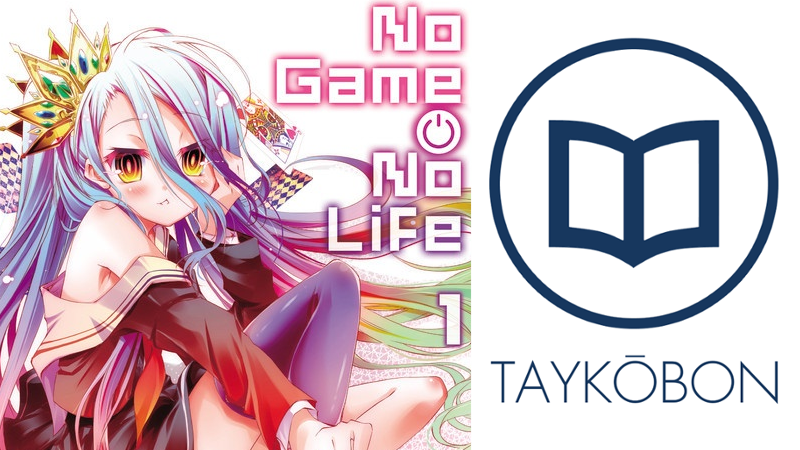 Speaking of Yuu Kamiya, one of my favorite facets of No Game No Life would be the amusing style of narrative woven by the author. Kamiya, who usually is a manga-ka, brings a refreshing technique to storytelling that feels like a blend of the self-awareness of Lemony Snicket and the kind of sass you might get from talking to a well-known friend. Yen Press did an excellent job in the translation of this style to English, and in this way all of the positives in the plot are strung together to form a very cohesive and alluring story. For all of its excellent strategies, there are a couple of elements that could most definitely be off-putting for potential viewers, namely the blatant fan service both in the illustrations provided by the book and the narrative itself at times. It’s worth noting that Shiro, the younger of the two gamer siblings, is only twelve and is sexualized rather intensely both on the front cover and in other drawings in the text. In addition to this, there are parts of the story itself that rely heavily on ‘amusing’ scenes, from groping to incestual innuendos, which frankly is a turn off both for myself and likely for many others potentially considering reading or buying the book. No Game No Life is a cleverly designed story, both in setting and execution. The author’s style of writing is very enjoyable and creates a compelling narrative through the mind games the characters participate in. However, I can only recommend this book to people willing to stomach some uncomfortable fan service of all kinds; it’s all over the novel, from the images to certain events within the text itself. If you are uncomfortable with this, then I cannot recommend the book. If you are willing to look past this, then it is likely No Game No Life will be an enjoyable read. No Game No Life Vol. 1 was published in English by Yen Press on April 21st, 2015. Authored by Yuu Kamiya, the series is ongoing in Media Factory’s MF Bunko J imprint. The series also received a one-cour anime adaption by Madhouse in Spring 2014 and volume 2 will be published in English on July 21st, 2015.